We have great options for you and your bridal party. 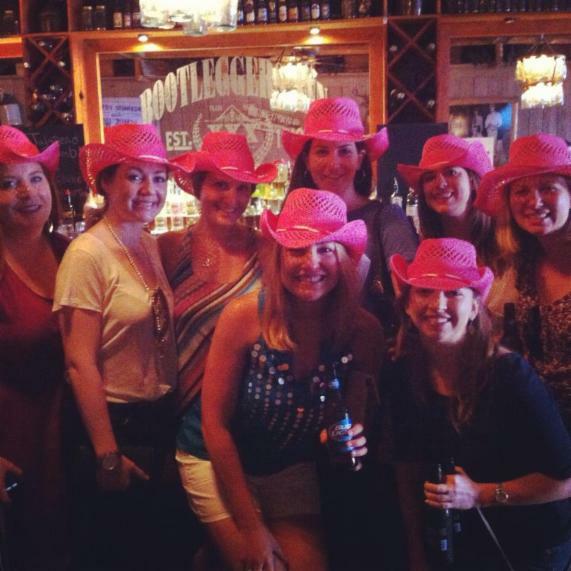 We ARE Nashville's ORIGINAL pub crawl. A favorite for bachelorette parties, bachelor parties, birthday parties, and most every event! Not only do we give you a tour of the city, drink specials, coupons to restaurants, suggestions for other places to go in Music City, but also shout outs from the bands...sometimes your bride will even be invited up on stage! Don't believe me? Chick out our Facebook page for photos and videos.